Virtual Visits to the Doctor is one of UnitedHealthcare‘s newest tools! In an effort to offer simple and up-to-date solutions to their members, UnitedHealthcare developed this service to diagnose and treat minor health issues online. Anytime you need a doctor, you can online with a mobile device, tablet or computer and chat with a doctor. He can diagnose and give a prescription if needed. Registering is very easy. You choose an app, downloaded and request your virtual visit. That’s it! Our kudos to UnitedHealthcare for coming up with this service! This is a wonderful tool that can save time and money, specially if you have young children. 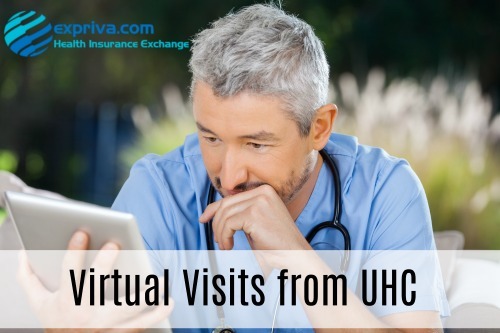 If you want to learn more about Virtual Visits, go to https://www.uhc.com/individual-and-family/member-resources/health-care-tools/virtual-visits. If you do not have a health plan with UnitedHealthcare, contact us now and we’ll get you a quote! Have you requested a virtual visit from a doctor? What can you tell us about the experience?